After several run-of-the-mill years for Lincoln Wheat Penny coins, 1936 came around not only with the three usual suspects – Philadelphia, Denver, and San Francisco mint Lincoln Cents – but also the return of proof coinage and an unintentional variety: a doubled die! These five varieties definitely add a little spice to the mix for avid Lincoln Penny collectors who want every possible die variation and issue that they can get their hands on for each year. First up, though, is the 1936 regular-issue Lincoln Penny from the Philadelphia Mint, which produced 309,632,000 business-strike Pennies that year. Expect to pay anywhere from about 10 cents for a well-circulated specimen up to $10 or more for one in Brilliant Uncirculated condition. Ditto for the 1936-D (Denver Mint) and 1936-S (San Francisco Mint) Pennies which were also struck in large quantities: 40,620,000 at Denver and 29,130,000 at San Francisco. 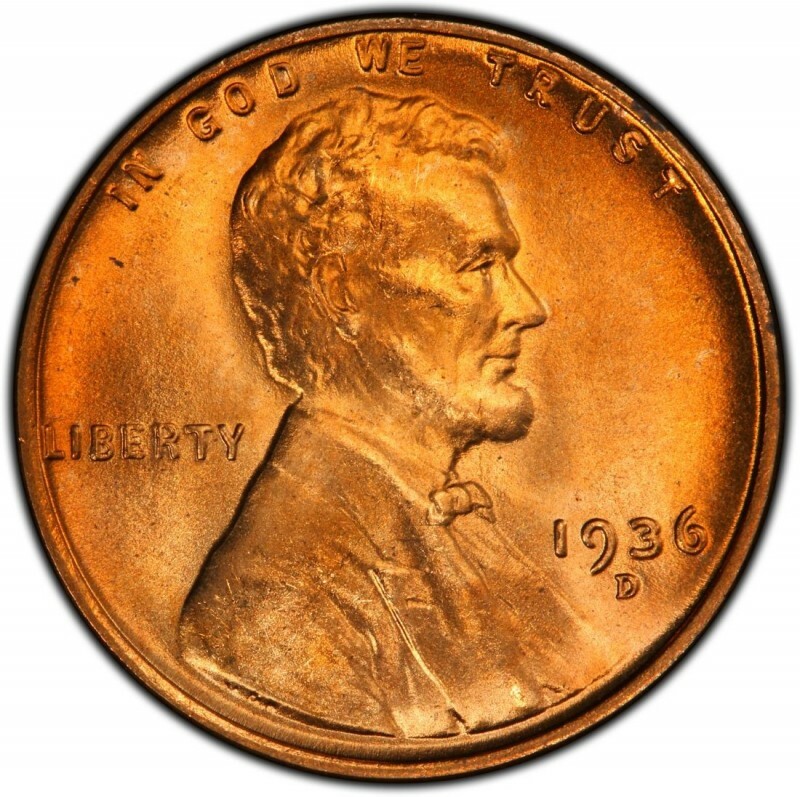 The 1936 proof Lincoln Cent was the first official proof variety issue for Wheat Penny coins since 1916, marking the beginning of what many numismatists call the “modern proof” era. Unlike the matte proof Lincolns of 1909 through 1916, the proof Pennies struck from 1936 on have mirror-like surfaces, and some early proofs even possess cameo surfaces (today, virtually all proof coins struck at the United States Mint have cameo, or frosty looking, devices). 1936 proof Lincoln Pennies start at around $100, which isn’t bad considering that only 5,569 were initially struck. The 1936 doubled die proof Lincoln Cent is a variety that is catching on as a popular doubled die offering and can be had for around $25 and up in circulated grades. I have a Penny coin of 1936 E.Pluribus. Unum how much is worth. 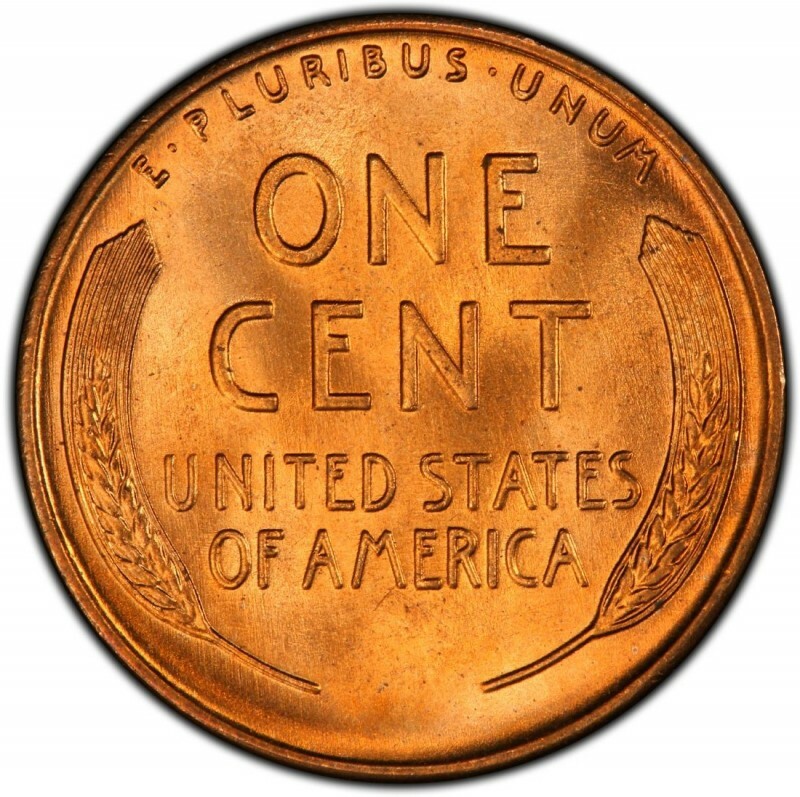 A worn 1936 Lincoln cent is worth 5 to 10 cents. Hi I have a 1936 US penny and im unsure what mint it is because under the year there is no letter. Is there any other way to find out? Given that there is no mintmark under the date on your 1936 Lincoln cent, it was made at the Philadelphia Mint. Assuming your coin has a typical amount of wear for its age, it's worth around 10 cents. I have a 1936 wheat penny with large thin letters and numbers on the backside of the coin. reading PN15 any ideas? will try to post pic. Hello! So, which penny from 1936 is worth $100? I am confused..
Also- i have a hard time distinguishing the dbl dies.. are there any pointers you can give me? Please and thank you! "1936 proof Lincoln Pennies start at around $100, which isn’t bad considering that only 5,569 were initially struck. The 1936 doubled die proof Lincoln Cent is a variety that is catching on as a popular doubled die offering and can be had for around $25 and up in circulated grades." Hi, James. The proof strikes are worth $100 and are relatively rare. Circulated specimens can fetch a few cents to a few dollars depending on condition. Regarding the double-dye, it's easy to spot since it looks like a mirror-image duplicate of the lettering on the coin.